A new control system, yet able to start up the production process without fear of risks? The migration of operating systems within a production environment is a fascinating and challenging process for the designers and those who implement the migration. For the Production Manager on the other hand, this is a necessary evil which, if it can at all be avoided, must be realised with the least possible loss of production. In short, this is a potential problem that you as a client are likely to encounter on a regular basis. Nothing new for you so far, but all that is about to change! Moekotte has, as a System Integrator, found an important tool within the WinMOD software package that enables you to limit on-site testing to a minimum and that will therefore make your conversion entirely risk-free! The WinMOD software enables the System Integrator to simulate and extensively test the complete control system, including the motors, valves, measurements etc. through to I/O level, within the workplace, before the control system is implemented on the client's premises. This is effected on the basis of typicals created within the development software in order to imitate the field scenario. In other words, this is a “real time” simulation of the production process. What are the benefits to you as a customer? Extensive testing within the Moekotte workshop beforehand results in a reliable control system, a minimal on-site conversion time and therefore rapid resumption of production. Changes or additions submitted by the customer during the design phase of the control system can be tested in advance in a dry simulation run, thereby allowing the customer to assess them and make any necessary changes. Operators attend a training course at Moekotte before the system is implemented within the workplace. This prevents any delays when resuming production. 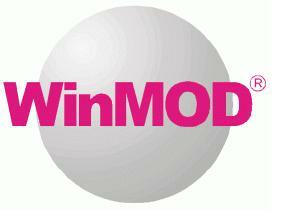 A standard PC and operating system can be used for the WinMOD package. The WinMOD software package includes several drivers that allow control systems to be tested with virtually all popular PLC brands.